Ricky Bandejas Is Ready For Anything At ROC 58 | Lou Neglia's Ring of Combat | Next Generation of Mixed Martial Arts! In the fight business, things change all the time. From event details to multiple opponent swaps, things are never what they seem to be in this world. And when things don’t go as planned for a fighter, they’ll feel the pressure to call it a day and wait for the next event. Don’t include Ricky Bandejas (8-1) in that category. Bandejas has learned to expect the unexpected when it comes to the fight game especially when it comes to his opponents. “Unfortunately my opponents always change during my fight camp,” said Bandejas. “I try not to think too much into my opponent until it gets a little closer,” he continued. Fighter drop outs happen all the time in big and small promotions alike. Fortunately, Bandejas doesn’t let it get him and keeps moving forward. Judging by his near perfect record of eight wins against zero losses, you can see immediately that the Toms River, New Jersey native is in this business to win it and to win it and get to the next level, Bandejas has come to the right place as he fights for the regional ROC bantamweight title. Ring of Combat president, Lou Neglia takes pride in watching fighters chase their dreams and make it to the bigger stages. Recent ROC alumni Chris Wade, Oluwale Bamgbose, Randy Brown and Gregor Gillespie are all former ROC Champions and now each compete in the UFC. For any new comer to the ROC promotion, this would be perfect motivation to bring your “A” game when you’re entering the title picture but again Bandejas is not like most fighters. The 25 yr. old, who won districts for his high school in wrestling, feels his past accomplishments should add up to an invite to the UFC and winning a ROC title beforehand is only icing on the cake. “Absolutely, I would love [for] that to happen,” said Bandejas when asked about joining former ROC alumni champions in the UFC. “Although I'm not expecting it. With winning the belt my record should speak for itself and hopefully be enough to get me in,” he continued. Besides the impressive record, Bandejas has all the tools to get to the next level of MMA. 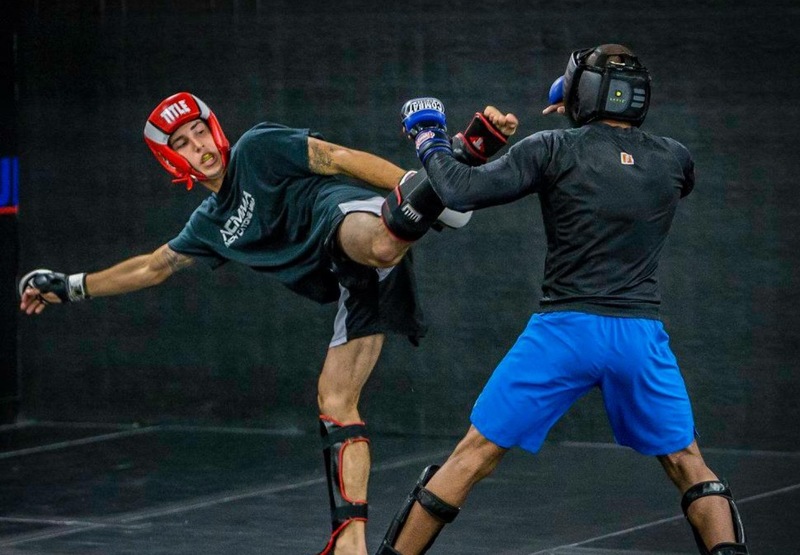 Training under UFC veteran and former ROC Middleweight Champion, Nick Cantone, along with Claudio Ledesma and Cody Mooney, Bandejas has the right formula to make some noise in this young sport. Though being a professional fighter is a commitment like no other, when not training or on a job site, the New Jersey union carpenter spends as much time as he can with his wife and kids. And it’s for his family and everyone at NCMMA that has Bandejas on a mission for ROC 58. “Best Ricky Bandejas they have seen,” when asked what fight fans can expect come fight night. “I'm ready to make a statement and they (fight fans) will see that February 24th,” he concluded. See Ricky Bandejas make his attempt for ROC gold when he fights for the Regional Bantamweight title Friday, February 24 at the Tropicana in Atlantic City, New Jersey. Tickets are available online, the Tropicna box office or any TicketMaster outlet. ROC events have a history of selling out so get your tickets today!